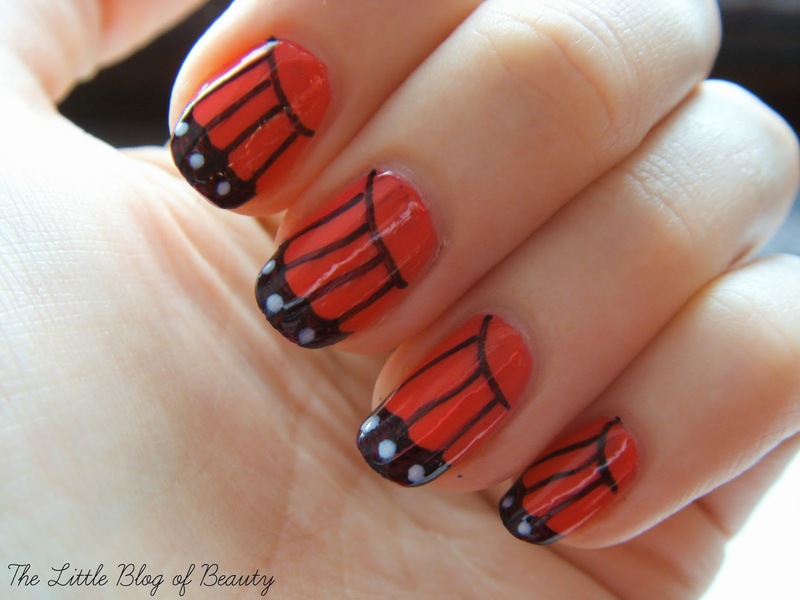 A few days ago I spotted a butterfly nail art design over on Madison's blog Fundamentally Flawless. As a lover of anything butterfly based I wanted to give it a try so I grabbed my Sharpie and got to work. 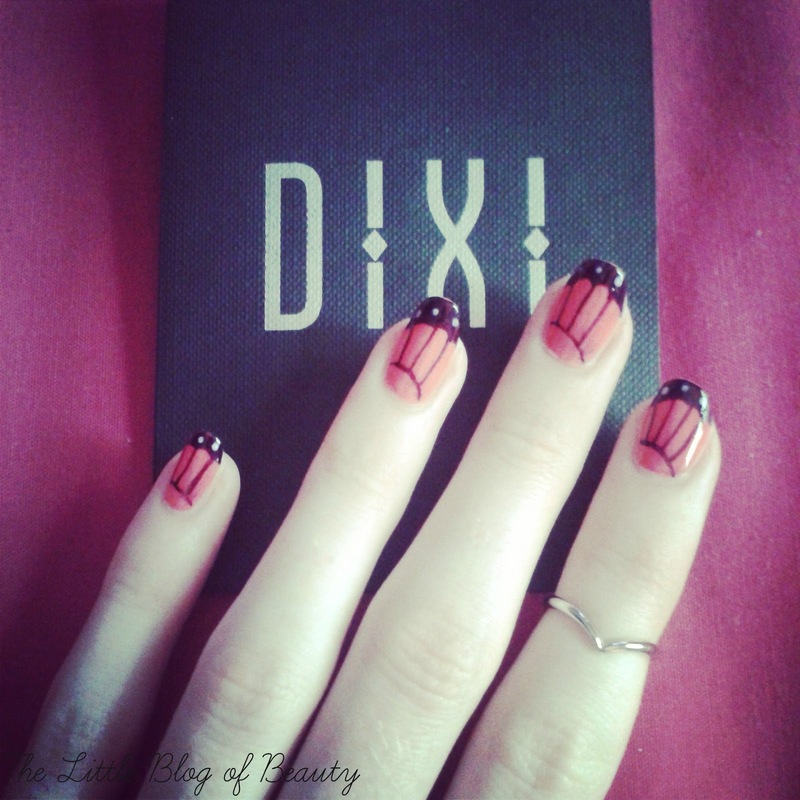 For Madinson's look she used an amazing gradient base colour and a nail art brush to create the black lines. 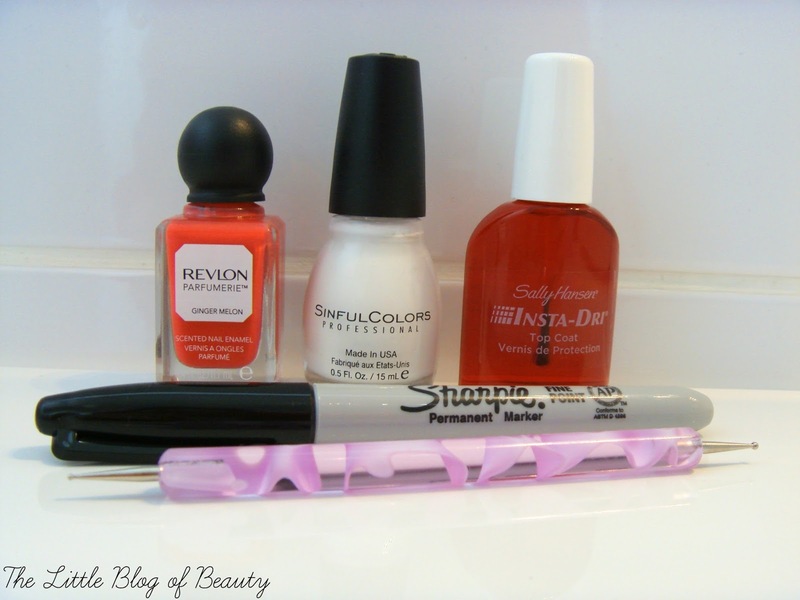 I already had Revlon's Parfumerie Ginger Melon on my nails so I just used that as a base. I've only attempted a gradient nail once so far and it was a bit of a disaster to be honest but I want to give it another try as it's such a pretty look. For my lines I used a black Sharpie and just drew them on and also coloured in the tips. On the pictures you can see this as the black part looks a little patchy but you can't see this at all on my nails. It would probably be better to actually paint the tips with black nail varnish but as I only had the Sharpie to hand I just used that. I then took some white nail varnish and a very small sized dotting tool and placed three dots on the black part on the tip of each nail. I then just sealed it all off with a quick drying top coat. These do look a little bit rough on the pictures but on my nails they look amazing, if I do say so myself! These probably look best in the last picture which I've taken from Instagram. As butterflies come in various different colours you could have some fun creating different coloured bases for this look. Unfortunately Ginger Melon isn't showing true to colour on my pictures, it looks kind of orangey here but it's actually more pinky/red than this and a little darker. 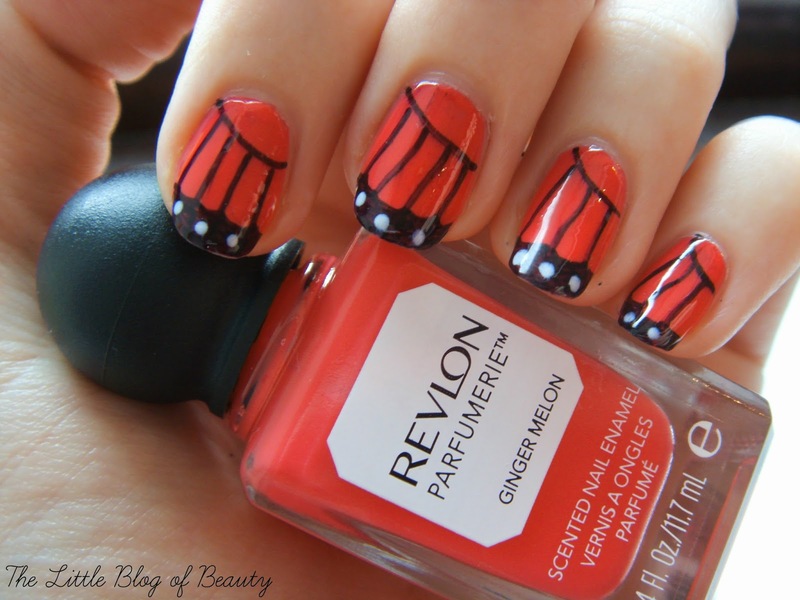 What do you think of Butterfly wing nails? Vicky | Lots of Love, Me.